Dr. Joshua Lee is a Prosthodontist. Dr. Lee graduated from the University of Michigan-Ann Arbor with a Bachelor of Science in Engineering. He then attended the University of Pennsylvania where he received his Dental Degree in 2010, and proceeded to receive further training in residency programs for an additional four years. 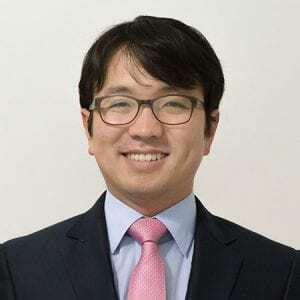 He received postgraduate certifications in General Practice Residency from Harvard School of Dental Medicine/Cambridge Health Alliance Hospital and also Master of Medical Science with an additional specialty certification in Prosthodontics from Harvard School of Dental Medicine. During his residency, he extensively studied and researched on the latest technology CAD/CAM restorations in its precision, accuracy and marginal fits during the manufacturing process. Dr. Lee’s philosophy is to provide the highest standard of quality dental care and aesthetic results that meet and exceed patients’ expectation. With a comprehensive and compassionate approach, he is devoted in providing personalized dental care including prevention, aesthetic dentistry and full mouth rehabilitation. Dr. Lee is happily married with a one year old daughter, Lydia. During his free time, he enjoys playing tennis and taking photographs outdoors with his family.